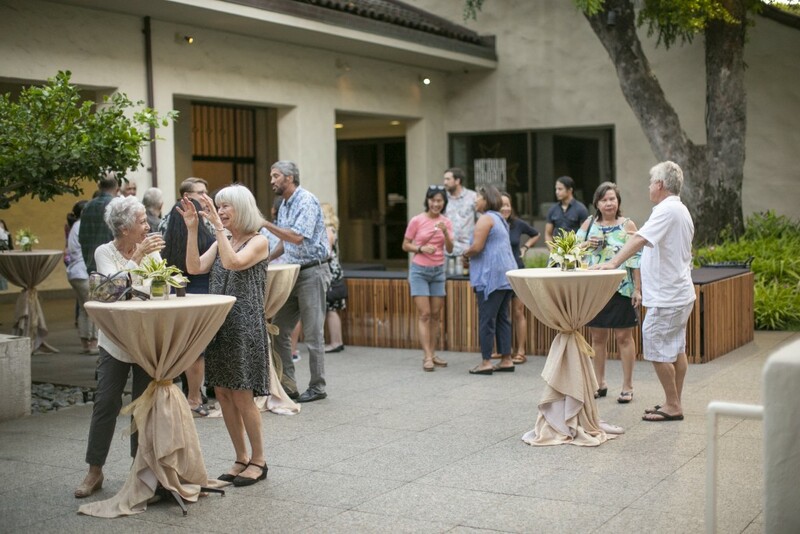 On a clear Wednesday evening, the museum hosted a reception for kapa and mixed media artist Maile Andrade’s new exhibition Ka ‘Opua Ā Hina. 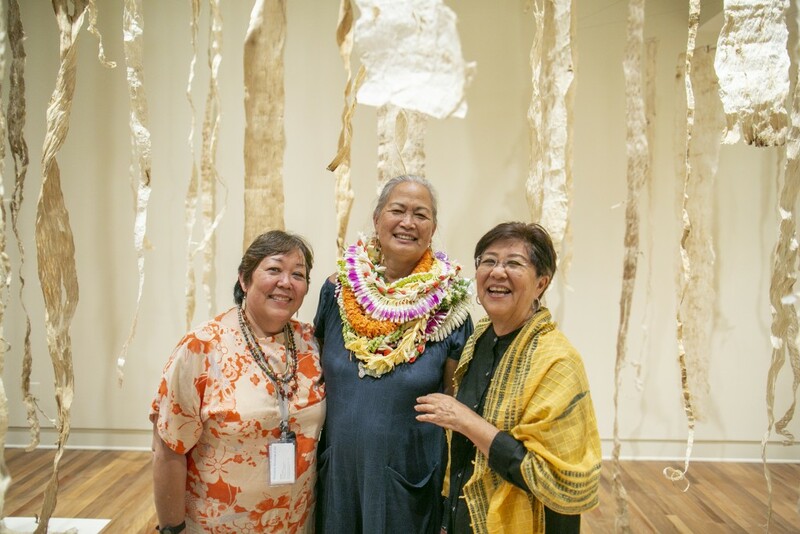 Her immersive installation completely transforms the John Dominis and Patches Damon Holt Arts of Hawaiʻi Gallery with a forest of suspended wauke, or mulberry bark, pounded to the flexible mo‘omo‘o phase. Actually, a better way to describe her installation may be the sky, as it is a reimagination of the Goddess Hina’s own kapa, which was so divine that that’s what the clouds in the sky are said to be. 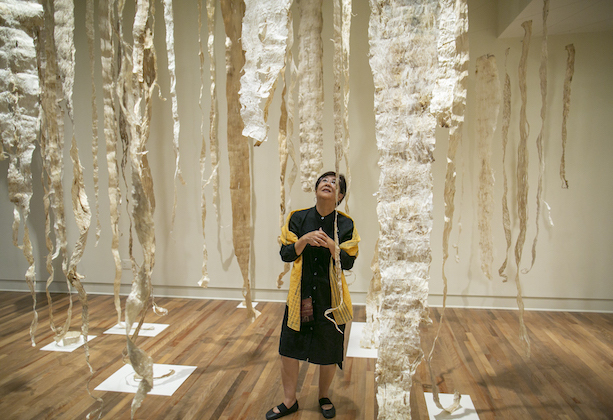 Promising her speech short and sweet, Andrade thanked everyone in attendance and explained how the inspiration for the exhibition started off with a group of contemporary kapa-makers in 1981. This moment was an extension of the Hawaiian Renaissance, in which artists and practitioners pursued kapa-making and weaving as artistic pursuits and pro-Hawai‘i political statements. After her speech, the exhibition opened and guests made their way upstairs to lose themselves in the installation. They marveled at the wauke that hung from the ceiling with a suspension contraption that Andrade made herself, the silver woven structures that burst out from the wall, and the luminous opihi-like shells that crawled along the corners. 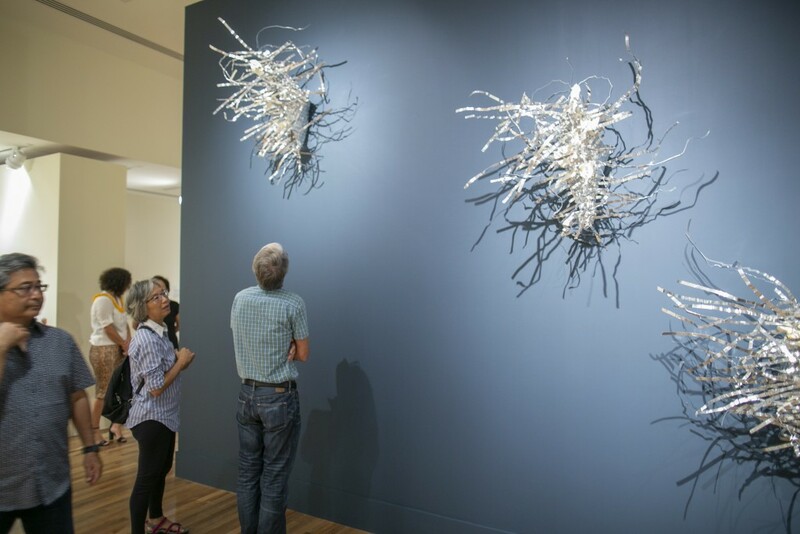 Guests marveled at the “sky” of wauke. 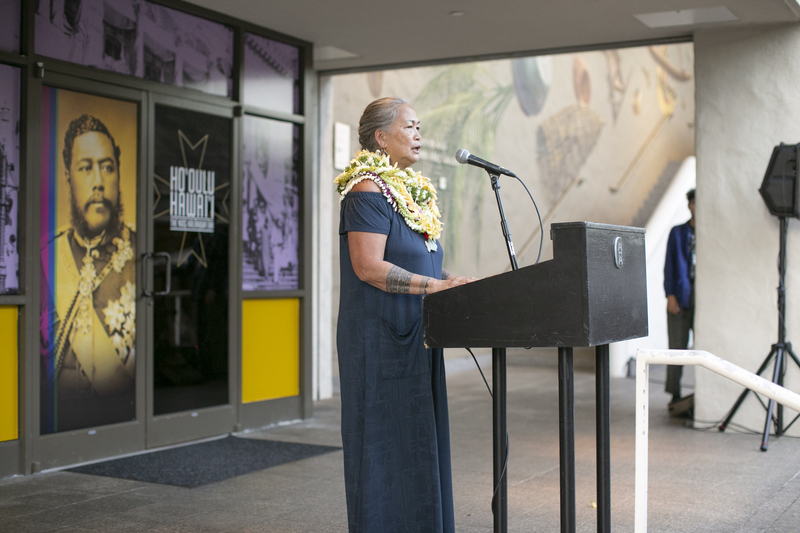 Blending 21st-century contemporary art priorities with centuries-old Hawaiian tradition, Andrade’s reactivation of kapa ultimately looks ahead at the radical possibilities that can be done with Hawaiian material. 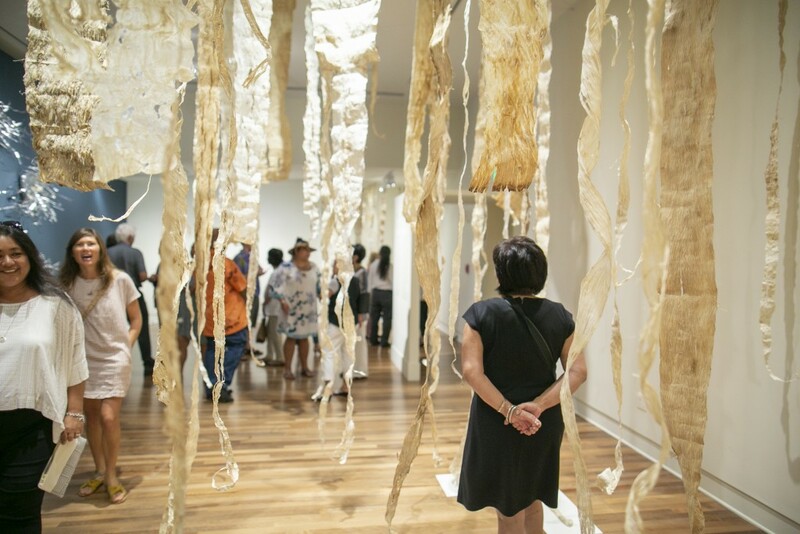 Ka ‘Opua Ā Hina is on view until March 24, 2019. 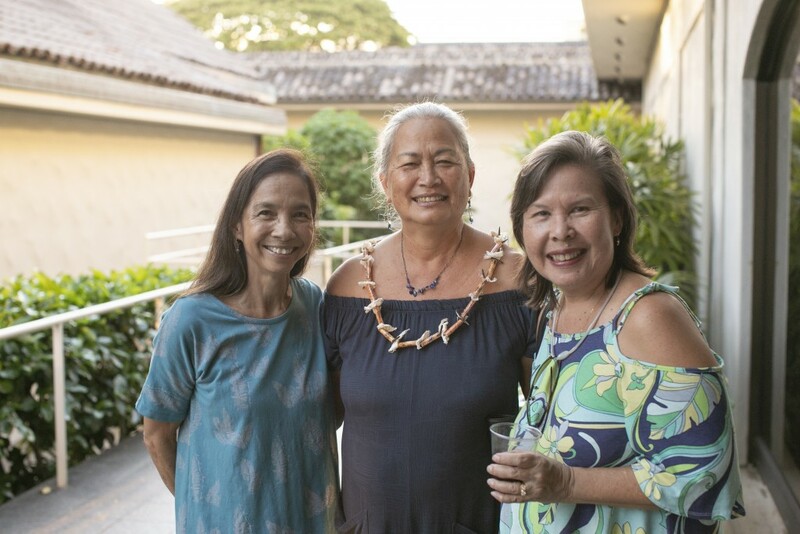 From left to right: Curator of textiles and friend of Andrade Sara Oka, Andrade, and Ann Asakura. What a fantastic show! I’m sorry I am in Vermont and was unable to attend the opening! As a person who TRIED years ago to make kapa, I am in awe of the splendid exhibit. 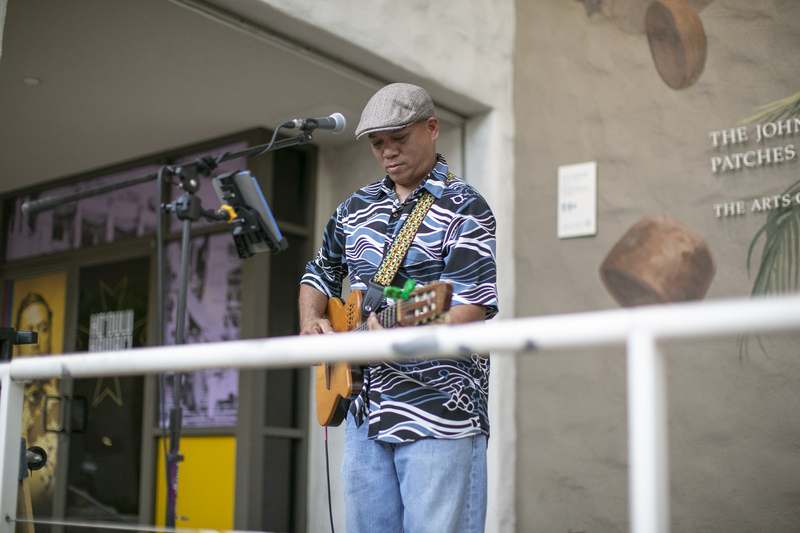 Thank you for the vision to have a show of this kind, and thank you especially to Maile Andrade for her exquisite talent.